The 70-347: Enabling Office 365 Services exam is the second exam required to get your Microsoft Certified Solutions Associate (MCSA) Office 365 Certification. The MCSA Office 365 is a requirement to become a MCSE for the other servers in the Office suite such as SharePoint, Exchange and Skype for Business. As someone who got his MCSA Office 365 certification, this guide is to help you find materials to study, and ace the exam. I will share both free and paid options, whether books, video training or simply links to articles and blog posts. I will not share any dumps as those are against the Microsoft Terms of Service, and by using dumps, we decrease the value of our certifications. 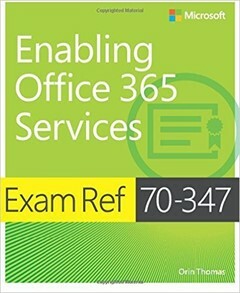 Prepare for Microsoft Exam 70-347–and help demonstrate your real-world mastery of the skills needed to help securely and efficiently provide Microsoft Office 365 services in any environment.Designed for experienced IT pros ready to advance their status, Exam Ref focuses on the critical-thinking and decision-making acumen needed for success at the MCSA level. Use SharePoint Online to provide today’s most advanced collaboration capabilities–without managing your own infrastructure! 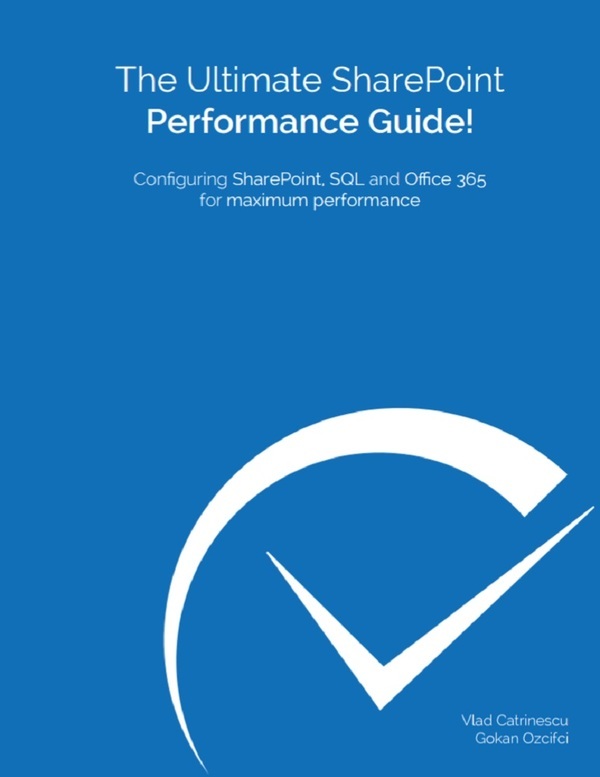 This concise reference will help you configure and manage SharePoint Online to meet your requirements for functionality, performance, and compliance. 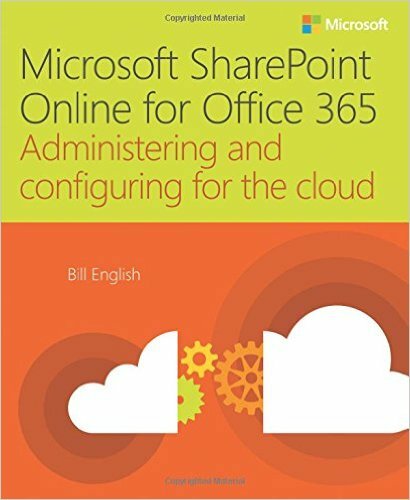 Bill English covers user profiles, security, search, records management, App Catalogs, metrics, and more–to derive maximum value from SharePoint Online. Configuring Office 365 tenant and its applications is just the start of a successful deployment. Learn about mailbox migration options, the types of mailboxes found in Exchange Online, and how to create, manage, archive, and secure mailbox contents. 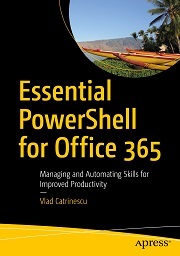 Note: While the PowerShell for Office 365 course is not specifically designed for the 70-347 exam, mastering the use of PowerShell for Office 365 is a key element of the MCSA Office 365 certification, and you will for sure get quite a few questions on common cmdlets for SharePoint, Exchange, Skype for Business as well as the eDiscovery Center. This course will teach you the basics of using Office 365 tools to easily and conveniently collaborate with others in your organization. 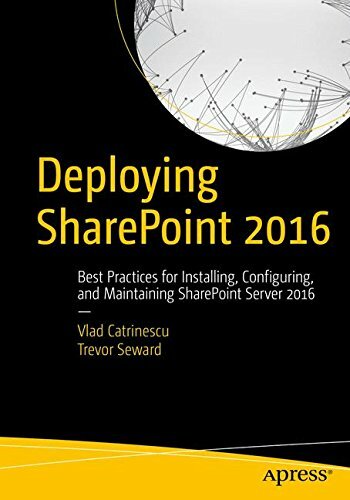 You’ll also learn to configure SharePoint Online and integrate it with other Microsoft collaboration products. This course introduces the Office 365 deployment tools used to configure and control the deployment of apps from Office 365, either by the user or by IT. You’ll explore the telemetry service to analyze and monitor Office 365 ProPlus and deployments. Prepare for Microsoft Exam 70-347: Enabling Office 365 Services with MVP/MCT Andy Malone. 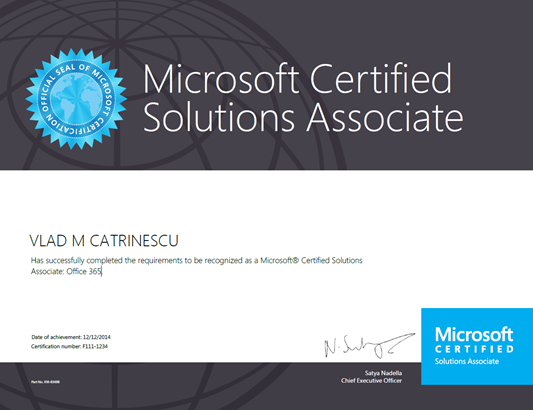 This is one of the two required exams toward MCSA: Office 365 certification. This Exam Prep session is designed for people experienced with Microsoft Office 365 who are interested in taking the 70-346 exam or the 70-347 exam. 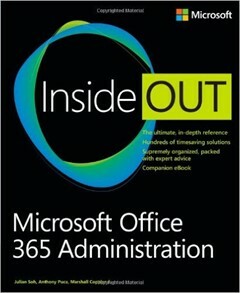 These exams are required for the new MCSA: Office 365 certification. You can expect to review the topics covered in these exams in a fast-paced format, as well as receive some valuable test taking techniques. You will leave with an understanding of how Microsoft certification works, the key topics covered in the exams, and an exhaustive look at resources for getting ready for the exam. The session is led by a Microsoft Certified Trainer (MCT), experienced in delivering sessions on these topics.